As well as working on charities such as AIDS she lent her name to the campaign to bad landmines. Her personal support is said to have been a significant factor in encouraging Britain and then other countries to support the Ottawa Treaty which sought to introduce a ban on the use of anti-personnel landmines. When Robin Cook brought the second reading of the landmines bill to the house in 1998 he made a point of paying tribute to the contribution of Princess Diana. Continuing the commitment of Diana, Princess of Wales we champion the issue of landmines, supporting the campaign for a worldwide ban and speaking up for those whose everyday lives are blighted by landmines. The Fund supports young people in prisoners’ families – an invisible group stigmatised by society and judged guilty for a crime they did not themselves commit. Enabling people to die with dignity and with the least possible amount of pain. For this reason, it has launched a £5 million initiative on Palliative Care. Citation: Pettinger, Tejvan. 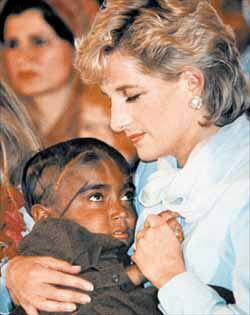 “Princess Diana Charity WOrk”, Oxford, www.biographyonline.net, 01/08/2013. Updated 1st February 2017. 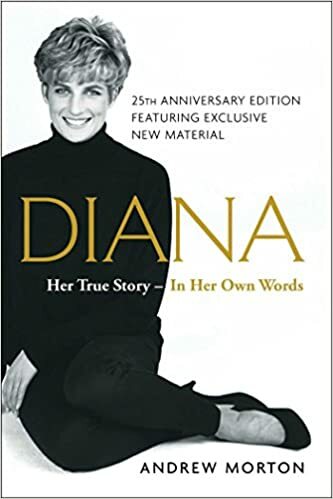 Diana: Princess of Wales by Mario Testino at Amazon.